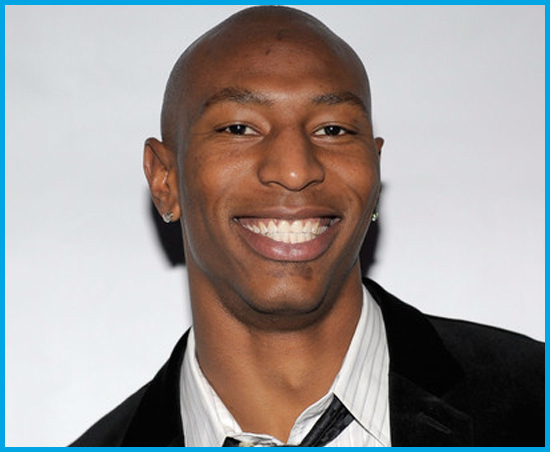 Chicago Bears wide receiver Sam Hurd may be a God-fearing Christian whose body is covered in Biblical tattoos and scriptures, but he's may also be one of the most prolific cocaine dealers Chicago has ever seen. The 26-year-old was arrested on federal drug charges on Wednesday after he tried to make a deal with undercover federal agents at a restaurant in Chicago to buy as much as 10 kilograms of cocaine and 1,000 pounds of marijuana a week. US Immigration and Customs Enforcement officials, who have been trailing Sam for months, say he was seeking five to ten kilograms of cocaine and 1,000 pounds of marijuana a week to distribute and was willing to pay $25,000 per kilo of cocaine and $450 per pound of marijuana. That adds up to as much as $700,000 of drugs each week. Was this a side business he adopted during the NFL lockout last summer that spiraled out of control? Only he knows. The investigation began on July 27 in Dallas, according to an affidavit filed by George Ramirez, special agent in charge of the U.S. Department of Homeland Security in Irving, Texas. The affidavit, which was attached to the federal complaint, says a confidential informant told federal agents that a man — later identified as T.L., a “known Hurd co-conspirator” — came to him seeking to buy four kilos of cocaine for an unknown buyer, “later identified as Hurd.” The informant said T.L. “wanted to complete the purchase of the cocaine at an early hour, as the buyer would be transporting the cocaine to a northern destination that same day,” the affidavit states. The two coordinated a place to meet in Dallas, but federal agents arranged for a “routine traffic stop” of the car being driven by T.L. and found traces of marijuana and $88,000 in a canvas bag inside, the affidavit states. T.L. allegedly told authorities he did maintenance on Hurd’s cars and said the money and car belonged to Hurd. The money was seized, and T.L. was released. Later that day, Hurd contacted federal agents, said he was a Dallas Cowboy, and said the money was his, the complaint states. He met with authorities the next day and said he had withdrawn the money from the bank and put it the car, which he gave to T.L. for “maintenance and detailing.” Meanwhile, the Bears announced on July 29 that they had agreed to a three-year, $5.1 million deal with Hurd. On Aug. 14, the affidavit states, T.L. went back to the informant to complete the drug buy on behalf of Hurd. He said Hurd was “currently out of town and still attempting to reclaim the seized $88,000.” Authorities said they learned the following day that police in Denton, Texas, about 40 miles northwest of Dallas, had detained four people from California on July 25 with “currency, narcotics, and weapons.” A search of text messages found the suspects allegedly had been in touch with a number used by Hurd. “The text message content appeared to be consistent with narcotics trafficking and possible money laundering,” the affidavit states. On Sept. 9, T.L. called the informant and said that “associates from Chicago” had traveled to Dallas and wanted to buy five kilos of cocaine, the affidavit states. T.L. allegedly said that “Hurd was unavailable due to NFL obligations, but that Hurd’s cousins were available to complete the transaction.” In December, Hurd spoke with the informant over the phone and said that he wanted five kilos of cocaine, and told the informant to call him if he was ever in Chicago, the affidavit states. T.L. then told the informant “that Hurd makes about $4,000,000 a year from the Chicago Bears and that Hurd would have the money ready. T.L. further claimed that Hurd had a previous narcotics connection that would supply Hurd narcotics valued at approximately $100,000 to $200,000 weekly,” the complaint states. On Dec. 8, the informant told Hurd he was coming to Chicago. Hurd said that “he would be interested in meeting to negotiate prices, discuss quantities and establish a long-term business relationship,” the affidavit states. Hurd’s party dined on $300 worth of filet mignon Wednesday. At the steakhouse, he told the undercover agent “his co-conspirator is in charge of doing the majority of the deals” while he focused on “higher-end deals,” the affidavit said. Hurd also allegedly told the agent that they already distribute four kilos of cocaine a week in the Chicago area, but his supplier couldn’t keep up with his demands. Hurd also asked the agent if he could provide him with Mexican cell phone numbers, “as Hurd believed that law enforcement did not have the capability of ‘listening’ to Mexican telephones.” He even referenced the money that had been taken by authorities in Dallas, and claimed “the seizure of currency could not be associated to him.” After taking the kilo of cocaine from the agent, he left the restaurant, put the cocaine in his car and was arrested, according to the affidavit. Wow! Wow! Wow! He's going down, and he'll like take several other NFLers with him. According to reports, police have a list of NFL players who purchased drugs from Sam. They say the list of names is “in the double-digits.” If Sam's found guilty, he faces up to 40 years in prison and a $2 million fine.